Steam & Dry Carpet & Rug Cleaning Services Radcliffe M26 | Quality Property Care Ltd.
You can call us at 020 3746 4287 where our staff eagerly awaits your phone call. Contact our professional company and learn more about some other benefits of the service as well as how you can save money and time with Quality Property Care Ltd. domestic and commercial rug and carpet cleaning service in Radcliffe M26. This technique is appropriate for natural and some synthetic components and can remove oily and greasy stains from long and short fibers without leaving a trace. To effectively clean an affected and stained place of your rug or carpet, we hoover the area to remove any debris. This agitates the stain and will allow us to more easily extract the dirt later on. Solids are removed and the area is pre-treated with a specific detergent which matches the chemical construction. It allows the hot water extraction method melt the stain and leave no footprint. If the rug allows it the stain is blotted so it better accepts the cleaning agent. Once done the cleaners apply a special hot water extractor which blasts the spot with hot water while at the same time drawing all of the dirt and 95% of the moisture out. The pressure and heat of the process, put together with the pre-treatment take out 99% of the stains with full stain removal if it’s relatively new. Old and set stains are almost impossible to be completely removed, so acting immediately when the stain occurs is very important to its proper extraction. There is some left over moisture from the process, which will evaporate safely within 3-4 hours, even fewer if you book our air movers. 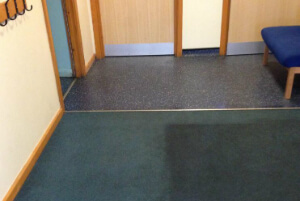 Steam carpet cleaning: hot water extraction method with maximum result on bacteria and dust inside the fibres. The procedure is ideal for manufactured products. Count on the professionals in carpets cleaning Radcliffe M26 and forget about plain and dirty carpets and rugs in your home. We guarantee you full customer support, flexibility and understanding in service scheduling. The perfect final result is promised! Note that all loyal customers will receive both: discount and special free tip on afterwards rug maintenance. The carpet cleaning team can also offer: Bed Bug Mattress Treatment Mattress Cleaning, Curtain Cleaning, Drapery Cleaning, Blinds Cleaning. If you purchase more than one service, you will have a discount and competitive final prices! Plus: our commercial and residential rug cleaning company works with all kinds of rugs: Wool rugs, Persian rugs, Chinese rugs, Area rugs, Handmade rugs, Tibetan rugs, Silk mix rugs, Shaggy rugs, Indian rugs, Turkish rugs, Egyptian rugs, Play rugs, Entrance Mats Floor Mats Logo Mats Antique Rugs Rubber mats, Industrial mats, Anti fatigue mats! 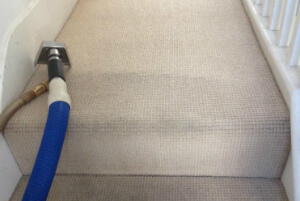 Don`t wait to book our reasonable carpet cleaning company Radcliffe M26 today! Quality Property Care Ltd. is available for your requests! Do not hesitate to book any of our specially customised carpet cleaning services in Radcliffe M26 now! Use the direct online booking form for bookings. Get a free quote right away on 020 3746 4287!